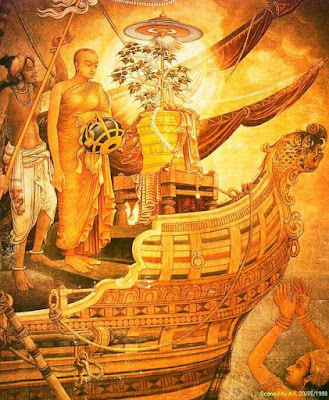 Unduvap Full Moon Poya Program will be Observed on Saturday, December 17, 2016 from 7:30 am to 6:00 pm at the Georgia Buddhist Vihara. We invite you all to join the program. from India in the 3rd century B.C. establishing the Order of Buddhist Bhikkhunis. brought to Sri Lanka by the Venerable Arahant Theri Sanghamitta.